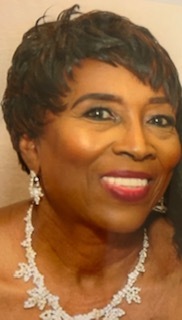 A homegoing celebration for Mrs. Rae Jean Bryant Mercer of Tampa, Florida who passed away on Thursday, February 7, 2019 will be held Saturday, February 16th, 11:00 a.m. at Abundant Life Worship Center, 8117 N. 13th St., Pastor Curt McKay, officiating. The interment will be in Florida National Cemetery. Rae Jean Bryant was born February 25, 1949 in Tampa, Florida. She attended Abundant Life Worship Center. She enjoyed fishing, shopping, collecting antiques and traveling. She was preceded in death by her parents, Levester Wells and Maddie Bryant; sisters, Betty Young and Dessie Bridges; brothers, Herbert Davis, Jackie Davis and Cullen Davis, Jr. She leaves to cherish her precious memories with her husband, Frankie Mercer; daughter, D’metria Mercer Blackwell; grandchildren, Tyler Scott and Jade Blackwell; brothers, Lee Wells (Cortez), Ronald Davis and Willie Fred Wells; sisters, Anita Davis, Barbara Davis, Dora Evans (Johnnie C.), Dorthy Walley, Catherine Thomas, Bessie L. Maggee and Temple Bridges (Donald); a host of nieces and nephews; sister/cousin, Arnell Bryant Willis. The visitation will be held Abundant Life Worship Center Church on Friday, February 15th from 5:00 to 7:00 p.m. The family will receive friends from 6:00 to 7:00 p.m. The family and friends are asked to meet at the church on Saturday for the service.